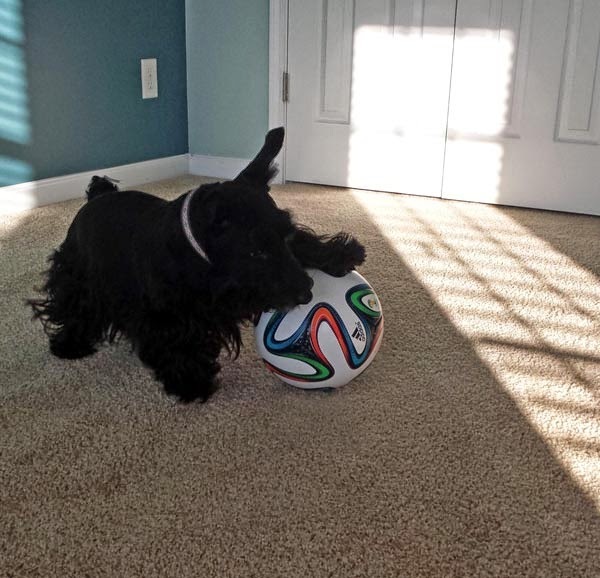 No goalie is a match for this Scottie soccer star. The Scottie soccer star blocks an attempted goal. He steals the ball from his opponent. He shoots and score a second time - Mr. K wins the game! 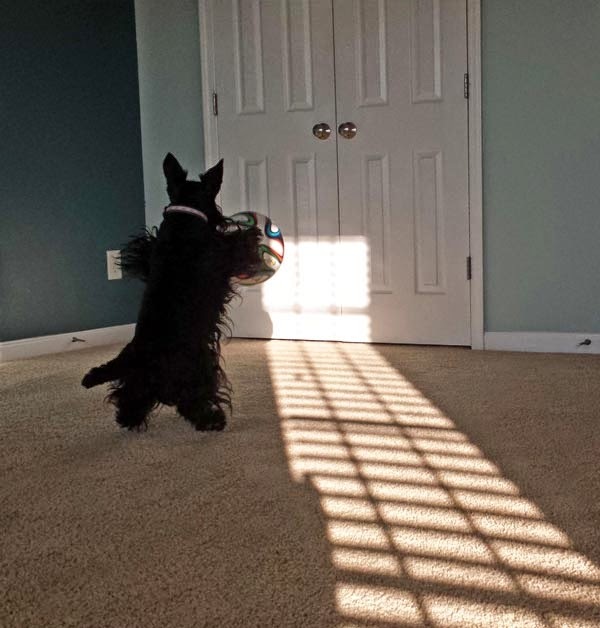 Ready to play again, Scottie Dad? Who's ready for the 2014 FIFA World Cup in Brazil? 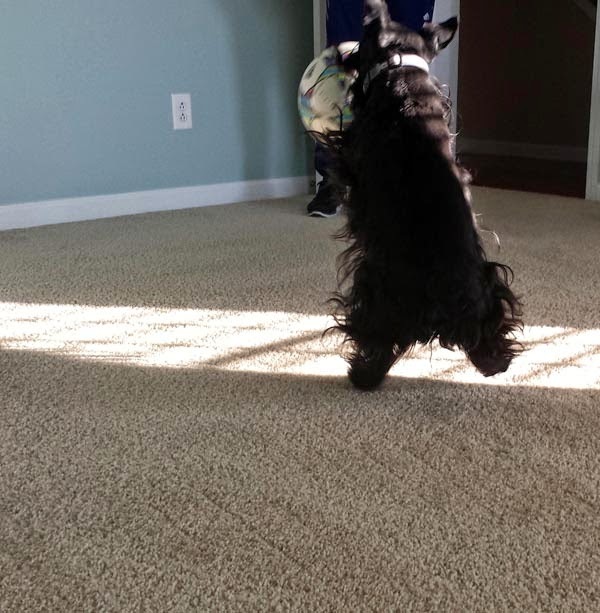 Scottie Dad and Mr. K are pumped for the upcoming games - which are just about 90 days away at this point - and have set aside some time each weekend to host Scottie soccer star training sessions to help Mr. K and his newly discovered talent land a spot on one of the winning teams. Scottie Dad has loved the sport for years. 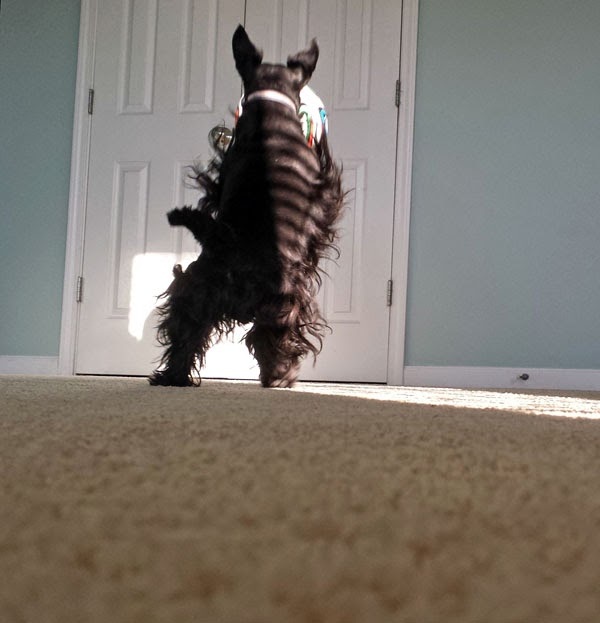 After some initial hesitation (soccer balls are MUCH bigger than the squeaky tennis balls Mr. K is used to chasing! 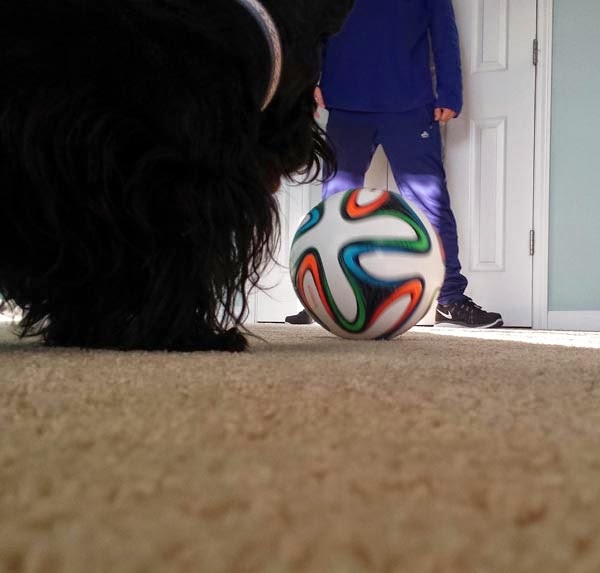 ), Mr. K has fallen head over paws for soccer...or should we say futbol? Now, father and son enjoy the game together! Watch Mr. K's reaction as he discovers a soccer ball for the first time in the video below. 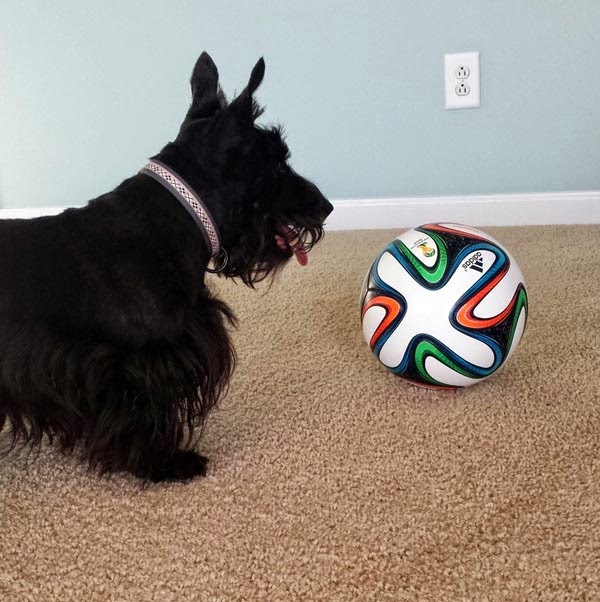 Tell us: which team are you rooting for in the 2014 FIFA World Cup? You are great! the best center-forward ever. We should send a doggy-team to Brazil. Can I be the goalkeeper ( and can eat every ball I catch)? I no longer get to play soccer. I used to but it took me less than an hour to puncture and render useless a $45 ball. I thought that was the point of the sport. Kyla, that I would pay to see. Mr. K, they are going to recruit you with moves like that! I love how you can stop the ball in midair!! You are such an excellent player! You will definitely make the team. 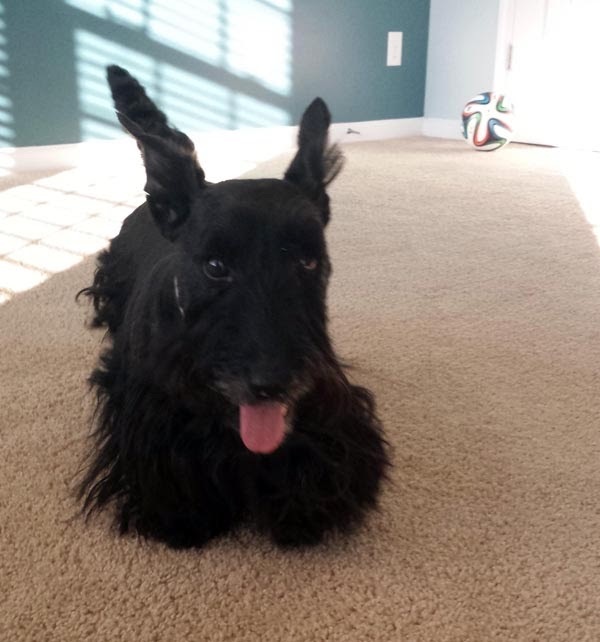 Have fun playing with Scottie Dad! Come to Rio for the World Cup Mr. K , it will be a pleasure . You've got quite the little soccer player. Do they have a Word Cup for dogs? LOL Fozziemum and 'bend it like scottie'. Pawsome soccer there. We think you should be in the team. Have a serene Sunday and let us all get on some big easy today. Go Mr. K....we think you are an excellent soccer player!! 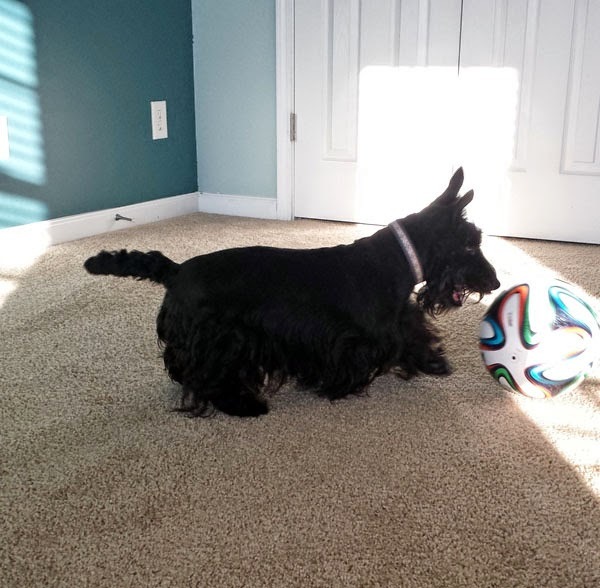 Well, I'm not much of a football fan, but if it was played by Scotties it would be the best thing ever! And THEN I would be a fan! A dog and his ball. You got a really big ball. Dang Mr. K you got skills. That is most impressive!! I think our local team could use you! You've got some great ball skills there!